Landscapers Concord MA | Concord Tree & Landscape LLC. We have in hold the perfect and the capable Concord landscapers to help in matters of reviving the state of the landscape at the best. There is the best team at Concord Tree & Landscaping and they have all the talent to deal with your home exterior space. 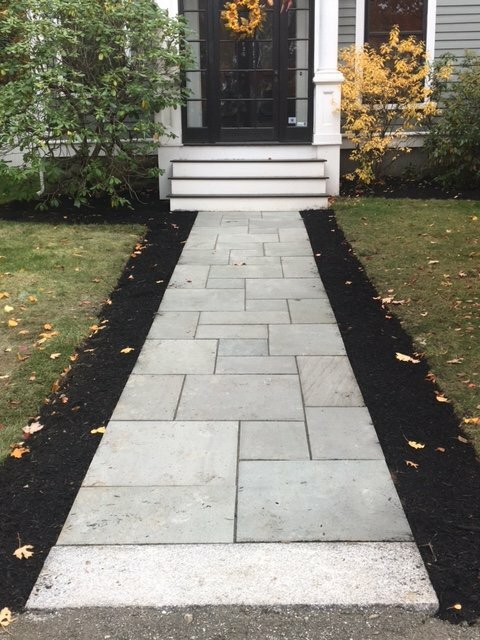 We are talented landscapers Concord MA and given the task, we can indeed change the face of the land. Our landscaping professionals are aware of how to take the best care of the backdrop and help in making the space perfect for utilizing. They take care of the surrounding environment of the property. The landscape with the perfect visual appeal can enhance your quality of existence. The landscapers at Concord exactly know what they need to do. Here is the list of things they are expected to do. Before the main construction, the professionals we have will do careful planning while dealing with all aspects of the project. The professionals will offer you with the various landscaping options from the oriental to the informal styles. We perform a deep analysis of the given site to come up with the most innovative ideas. We help you understand the basics of the landscape designing and we also help in the selection of the plants and arrange them in the manner to make the yard look beautiful. One is sure to enjoy the range of benefits using the ability and the professionalism of our landscape expert. The Concord landscapers have the best of talent and experience in dealing with the details of the property type. We help in boosting the value of your property. The exterior space is beautified in the way to make people feel attracted. The great landscape that we offer is sure to boost the real worth of your property. The landscapers at Concord work in the manner to cause a reduction in the energy bills. We make use of the best and the innovative ideas to impart coolness throughout the property area and make you feel relaxed and best. The tree shades are arranged in the manner to cause the effect of air conditioning. There are various factors we make sure in the mode of quality landscaping and this becomes vital at the time of property selling. If you feel that your landscape is not right and you are in need of the help of the expert landscaper you can give us a call at Concord Tree & Landscaping.